Whonnock Roofing works hard to give our clients in Maple Ridge and the Greater Vancouver Area the best roof installations and repairs at reasonable prices. We are very pleased that many customers have taken the time to write recommendations praising out roofing craftsmanship, which we are proud to share here. One of my concerns, when my roof needed replacing, was how long will it take. Being that it was late fall, I was concerned about my roof being left open to the weather and the idea of living under a tarp did not sit well with me. Whonnock Roofing showed up on a Wednesday, it had rained Tuesday and the forecast called for rain on Thursday. By 5:00PM Wednesday, all that was left was a brand new roof. I couldn’t find as much as a wrapper or a nail on my lawn or flower beds. All my neighbours remarked on how good the roof looked and how fast it was installed. Our roof is 12 years old now and have had absolutely no problems with it. I did not hesitate to call Whonnock Roofing again when my revenue property needed a roof. A friend called me at my office to tell me that my duplex looked like an ant hill, with all these people working on it. Again a quality Job done in a timely manner. Whonnock Roofing is a company that is trustworthy and full of integrity. I do not hesitate to recommend them for something as important as your roofing needs. The price was right and the quality was outstanding. Thank you very much for the quick job. I can’t believe how clean you left the yard! If you want to leave some extra cards, I’d be glad to recommend you to the neighbours when they come over to admire our lovely new roof. I would like to thank your company for the excellent service we received in the spring when we had our roof replaced. You were patient in helping us decide on the type of roof and gave well-informed advice. Your crew worked efficiently and quickly. We were surprised at the teamwork that ultimately produced a quality roof. It was nice that you followed up for feedback also. I would definitely recommend your company to other people in need of a roof. 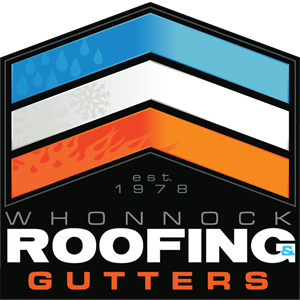 With reference to Whonnock Roofing Ltd., we are pleased to let our name stand as a reference to their excellent work. We are a market value co-operative, 18 years old with 52 units and age restricted to 50 years or better. The original roof was poorly installed, and we have experienced many problems over the years with hardware, leaks, etc. Needless to say, the original roof was not done by Whonnock Roofing Ltd.
We have used Whonnock Roofing Ltd. during the past 18 years for all our roof repairs and found them to be extremely quick in response to our needs as well as efficient and professional, not to mention affordable. Our roof gradually became unsightly as it was covered with algae and the color had faded and streaked. We also noticed that the shingles were lifting so we contacted Interprovincial Roof Inspectors (1982) Ltd. for an engineered appraisal of our roof and specs for roof replacement. They were most complimentary of the company that had been doing the repairs and stated that their workmanship was perfect. We obtained three quotations for roof replacement and were delighted to see that Whonnock Roofing Ltd. had provided us with the most comprehensive and specific quotation. Their quote, along with one other, offered a thirty-year warranty on algae coated shingles and all three offered a ten-year warranty on workmanship. Whonnock offered the most affordable price by far, and we are happy to report that we chose them. They followed their quotation to the letter, were extremely polite and professional, and finished the job in a timely manner. The site was cleaned daily. Our roof replacement started May 1, 2006 and was completely finished June 9. We did not receive one complaint during the work process and we are ecstatic at the results. We are very pleased with our new roof and very impressed with your prompt and excellent service that we experienced. We will highly recommend your company in the future. Thank you again. On behalf of the Board of Directors of Timberline Ranch, I would like to thank you for your generous donation of the supplies and labour to put a new roof on our lodge. The lodge is one of our main facilities with sleeping units, meeting rooms, dining hall and kitchen. Timberline Ranch is a non-profit Christian Camp and Conference Centre established in 1961 for the purpose of reaching young people for gospel. Every summer hundreds of children come to camp to experience the great outdoors, ride horses, and make new friends. Many of those young lives are changed by the Christian camping experience. Our staff is made up of a good number of students who give up their summer to work at the ranch. These young people gain invaluable leadership skills that continue with them for the rest of their lives. Throughout the rest of the year, many school and church groups use the facilities at Timberline Ranch. Thank you for being a part of the ministry of Timberline Ranch. Your generous donation is greatly appreciated. This letter is to confirm the excellent workmanship, attitude and work ethics displayed by this company and its employees who volunteered their time to install a new roof on the Timberline Ranch Lodge. The project that lasted approximately 14 hours was done fast, efficiently and effectively. The employees and owners both displayed an impressive professional and courteous manner at all times. The demolition of the existing roof and the clean-up of all materials were handled quickly and efficiently as well, leaving no evidence of a roof re-shingle to anyone that came by the next day. I highly recommend Whonnock Roofing to anyone seeking their professional services and am more than willing to give personal references should you require them, or discuss any other aspect of their work, which was done here.